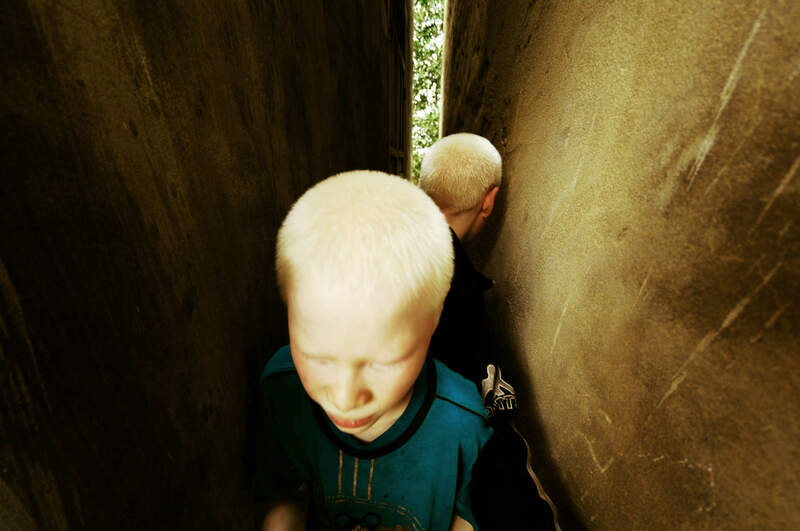 “Twins” is Cuong’s personal documentary photo project, a very close description of the daily-life of twins albinos brothers – Huy and Hung. Born in 2002 from a poor five childrens family in Ha Linh – Ha Tinh – Vietnam, they have to face to many dificulties; natural, familial and social: Almost every year, Ha Linh – Ha Tinh must suffer cruel flood, all their elder sisters and brothers get maried early, so they could not help them directly, and at last, no special medical/treatment for albinos. Getting agreement from their family and school, Cuong spent time together with the twin, eat with them, slept together with them, amused and played with them like a close friend, and with his Nikon camera, shared the same view as them – a different view to the world. Very poignant and touching series of images, Đỗ Mạnh Cường! I was moved by its story and its sad beauty, congratulation on a well deserved selection!